I think this is a moth of some type; but don't know for sure. It's chilly today; so I think it probably likes the warmth coming from inside the house. Wow Carol, that is beautiful and it looks big. Last edited by jjdog2; May 24, 2012 at 3:28 PM. wow. 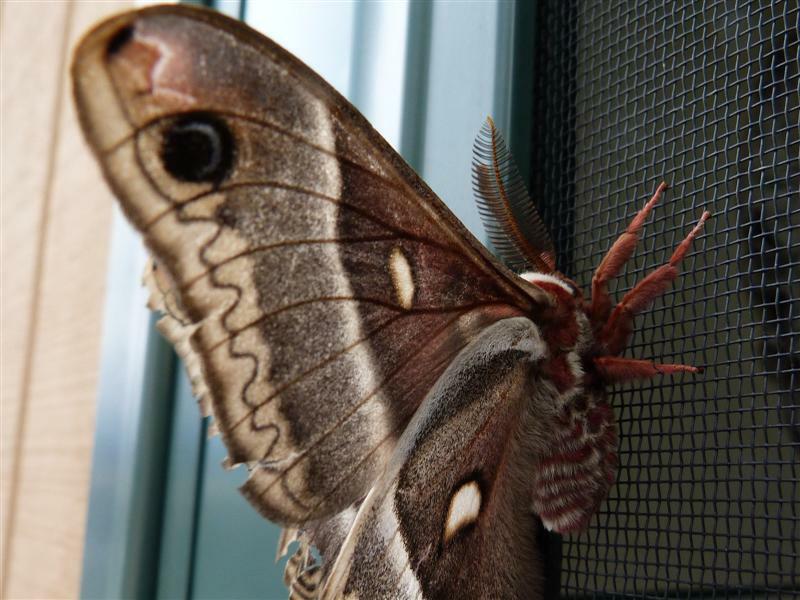 that's a big moth. someone post if you discover what kind it is. Thanks everyone; it certainly was a thrill to be able to see it up close! 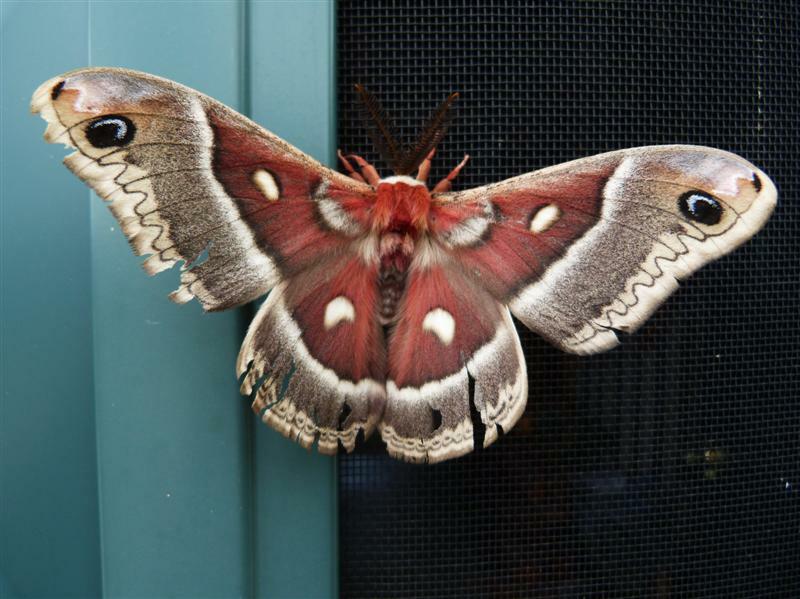 Beautiful images of a colorful moth. The second shot, you can observe that the focus is on the mesh. You could still focus on the moth manually, the mesh would get blurred. Thank you! 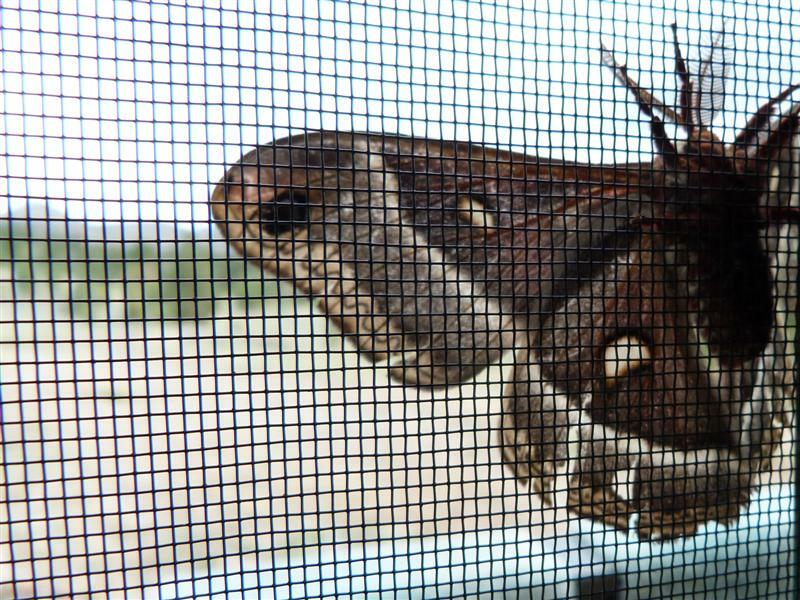 Yes I realize I could have focused on the moth, & blurred the screen; but I really liked the effect of the screen in sharp focus, with the moth behind it. Since I had several shots of the moth, I wanted to do something a little different, and focusing on the screen was the result. Nice find, Carol!! I found a similar (same?) 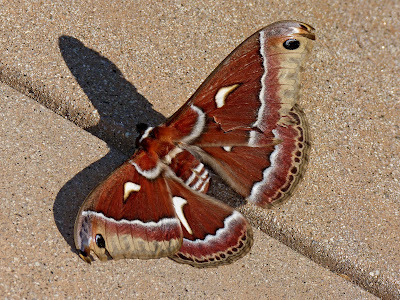 moth a few months back in my driveway. Sadly, this guy was at the end of his life, but I read online that they live for only a short while, just long enough to mate. I moved this guy into to bushes to let him die peacefully. He was huge too.